The Motorola AP650 has been discontinued. No direct replacement is available. The Motorola AP650 features full 802.11n performance with standard 802.3af, which simplifies and reduces total cost of installation using standard Power-over-Ethernet (PoE). Its multiband operation allows concurrent sensing on 2.4 Ghz and 5.0 Ghz frequency bands for multi-band intrusion protection or troubleshooting. The AP650 supports fast, secure roaming. 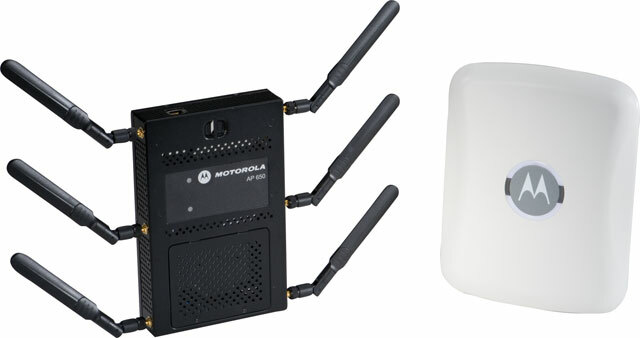 This unique multi-purpose device can execute and enforce the IDS/IPS security policies configured in the Motorola wireless switch, and can also be utilized as a 24x7 dedicated sensor with Wireless IPS from Motorola AirDefense solutions.